Back in 2011 cold weather tyres – also known as winter tyres – were a big talking point in the fleet sector. 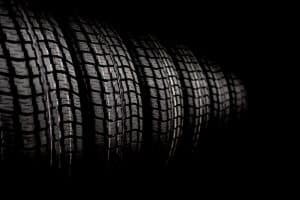 After a number of harsh winters tyre manufacturers were, understandably, pushing their products and certain fleets that needed to keep their drivers mobile made the switch. Others remained unconvinced that the benefits outweighed the cost and logistics of switching between standard ‘summer’ tyres and winter tyres for a few months of the year. But in 2015 Michelin brought out CrossClimate – the first standard summer tyre to be certified for winter use – meaning that fleet operators could use it all year round rather than switching between tyres without compromising on performance. The CrossClimate tyre now makes up about 12% of Michelin’s total car tyre sales in the UK and there has been strong interest from corporate fleets with British Gas fitting it to its car-derived vans, Addison Lee fitting it to the majority of its 5,000-strong fleet and many bluelight fleets using it for rapid response cars. The car range expanded last year to include 14-inch tyres and 19-inch tyres and has recently been improved with the launch of CrossClimate+, which will replace the original tyre. The aim is to take it from a European tyre to a global product as it offers increased winter performance for other markets. A van range will launch in the UK this year – likely in quarter three or four – and fleet operators will be the first to evaluate them, according to Michelin’s newly appointed head of fleet Jonathan Layton. Layton replaced Andy Fern at the start of the year but is no stranger to fleet having worked with car and truck operators during his 16 years at Michelin. He believes the CrossClimate van tyre will drive further growth for the brand.